Ask The Expert: Partner selection: why likeability might not be the best criterion. Partnerships and alliances have a high failure rate. Many companies try to avoid failure through control: strong contracts that prescribe how to handle in certain situations. However, failure in an alliance is often a failure in the foundation of the partnership: selecting the right partner and building the relationship. In this webinar Peter Simoons will share some essential elements with practical tools for proper partner selection. As an Executive Coach Peter Simoons (1963) works with business leaders to help them consistently improve their results. Peter guides his clients in their efforts to collaborate most effectively with their teams, with their boards, within companies and between companies. Peter’s experience includes decades of working with international teams and in partnerships and in new business development. 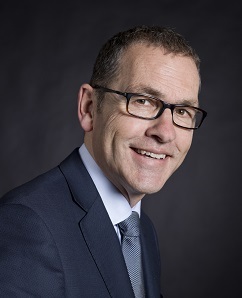 As an independent Executive Coach since 2010, his clients include organizations such as Airbus Defence & Space, Reckitt Benckiser, MedinCell, Royal Philips, Micro Focus, World Waternet, Siemens Building Technologies, DSM-Niaga, and Maastricht University.